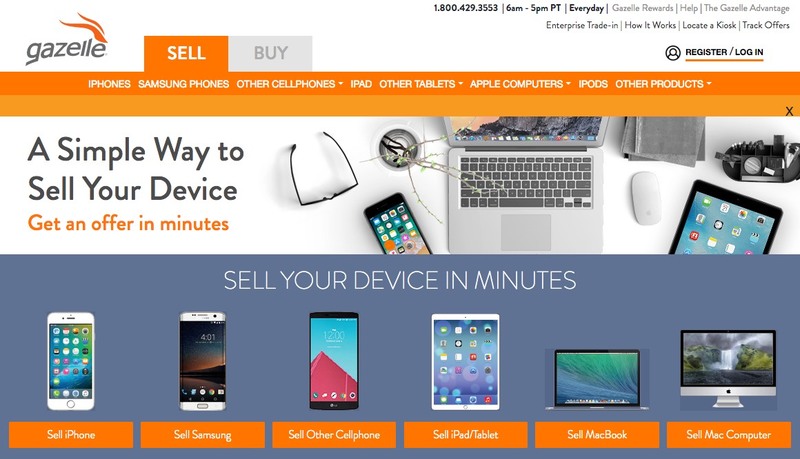 If you want to sell your iPhone, Gazelle makes selling your old device as simple as possible. You don’t even need to worry about deleting personal information, provided you trust their technicians to do the job correctly. 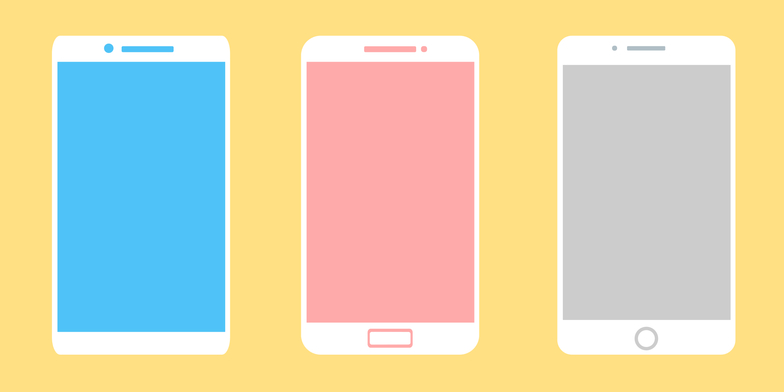 Simply answer some very basic questions about your device model and condition. Then, Gazelle will provide a provisional quote, then send you a pre-paid shipping box. Place your device in the box, slap the return label on it and drop it in the mail. Once they receive the device and confirm that it’s in the condition you described, you’ll receive your payment. You’ll find that Gazelle’s rates are lower than you could get by selling the device on your own. In return, you get a guaranteed buyer who makes shipping easy and won’t try and scam you out of a few hundred bucks. It can be well worth the exchange. 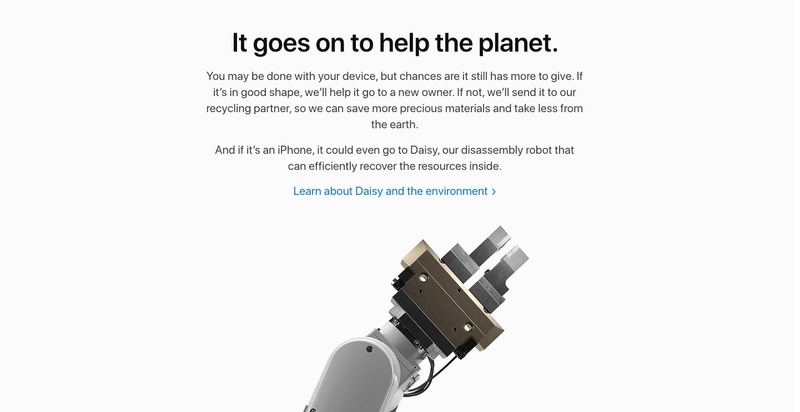 If you’re enterprising, brave or cash poor, eBay can be a great option for recycling iPhones and iPads or selling your Mac. There are two sides of the eBay coin, however. True, selling on eBay was the only way that you’ll get the highest dollar amount you can for the device. Unfortunately, this also opens many doors to scammers and similar scofflaws. You’ll have to deal with a lot of annoyances, from major to minor. Be prepared to deal with scammers wanting you to work a deal with them outside of eBay, or people who slow-roll you on payments for auctions they’ve completed. And don’t forget about the significant cuts you’ll take on your sale price. Both eBay and PayPal take a respectable percentage of any sale you make through the marketplace, and appropriate shipping (with necessary insurance) can take another sizable chunk out of your profits. That said, we’ve sold many expensive devices on eBay successfully with only minor difficulties: just be cautious. Those who don’t want to deal with the wretched hive of scum and villainy that is eBay can instead consider eBay Quick Sale, formerly called eBay Valet. It’s a professional service that eBay started to sell things on eBay for you. Depending on the final sale price, you receive a percentage cut of the sale. If your device sells for over $500 (which is reasonably likely) you’ll get 80% of the hammer price, less PayPal fees. Shipping costs are covered by the percentage fee that eBay Valet charges. eBay Valet handles photographing the item, managing the listing and communicating with buyers. You just mail them the device and get money at the end of it. To erase your iPhone or iPad, first back up your device to iCloud or iTunes. Unpair it from any paired Apple Watches. Then navigate to the Settings app and choose General > Reset > Erase All Content and Settings. Since your iPhone is automatically encrypted, this will restore the phone to its new state and delete your encryption key. This renders any leftover data on the device unreadable by anyone. If you haven’t registered your new phone yet, you’ll also might need to contact your carrier to remove the device from your phone number. If you have trouble wiping your device, you can check out Apple’s instructions on the topic. Once you’ve done that, you’re good to go!